RPG TITLES » Guild Wars 2 » Guild Wars 2 Starting Today: World vs. World Spring Tournament 2014! 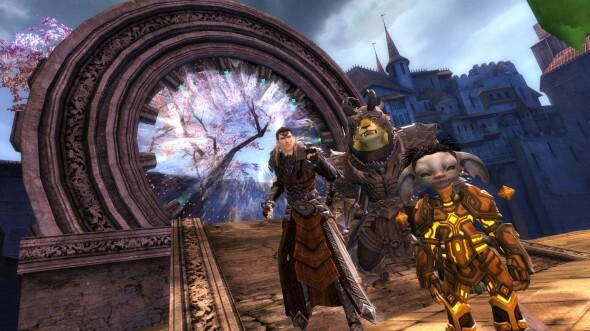 Guild Wars 2 Starting Today: World vs. World Spring Tournament 2014! It’s almost time for WvW Spring Tournament 2014 to start! Tonight, when the weekly WvW matchups reset, the tournament will officially begin. Prepare to represent your world in the Mist War in nine weeks of epic combat! Need a refresher on some of the changes we’ve made to the tournament’s structure and rewards? Devon Carver has got you covered! Get ready to fight for honor, for your world, and for sweet rewards! Guild Wars 2 WvW Spring Tournament 2014: Congratulations, Winners! Tagged Spring, Starting, Today, Tournament 2014, Wars, World, ‘Guild.